This weekend brought freezing temperatures to the Yorkshire Moor where we live, I couldn't resist putting this spectacular view looking north west from my QTH up the Aire Valley on here for all to see. Normal visibility from this QTH is usually up to 30 miles, this weekends view was almost from a fairy tale. 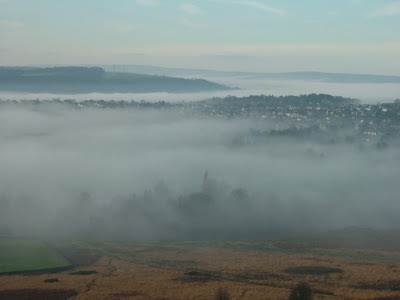 The QTH is at around 1000 ft above sea level and as you can see anywhere below a 1000 ft has been eaten up by freezing fog. Other news apart from the WX is I tried the Maldol HMC-6S on my mobile set up. The antenna is a bit on the big side for driving around with, but when stationary I was pleased to hear the multi banded beast pulling in some big signals on 20m. I checked the SWR on the 20m band and it was 1.1, the other bands were also working but propagation was not so lively. I will be fully testing the antenna in the near future on the other HF bands, more than likely when Spring arrives. The WX-Weather has brought snow, wind and freezing temperatures to North Europe. At my QTH-Location Baildon Moor, N.England, at 1000ft above sea level the temperature dropped to 0 degrees Celsius last night and we had a threat of snow but it did not settle. The bands were in good shape late last night/early this morning, as I worked Russia, The Ukraine, The USA and lots of other Stations from Europe using PSK31 on 40 & 80M. At present the sun is beaming with outside temperatures at 5.0 degrees Celsius and the wind is stirring making it feel even colder. 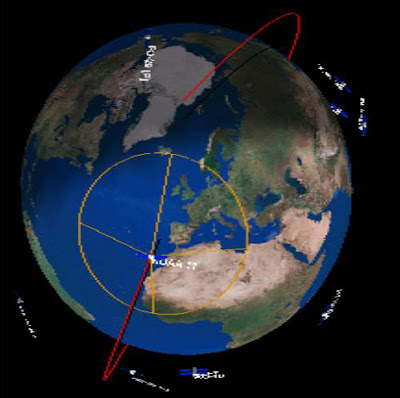 The image I have just received is from Earth orbiting weather monitoring satellite NOOA 17, which just passed by heading South West. The image shows N.W and W Europe with N.England under heavy cloud cover. I believe this is probably the best image I have received for a while using the IOIo beam, FT-847 and radio com software. I have had a passion for tracking and receiving NOOA weather Satellites for a few years and have tried a few different antenna's along the way with some reasonable images being received. I have had the home brew IOIo beam up for the last two months and have been pleasantly surprised with its performance. The best way to ensure a clear image is achieved by having an almost inaudible sound level from the output of your radio to the sound card. In other words make sure the sound-in to your computer is set very low from the radio. The software I have been running since 2004 is Radio Com 5.2 which has now been superseded by version 6.0. 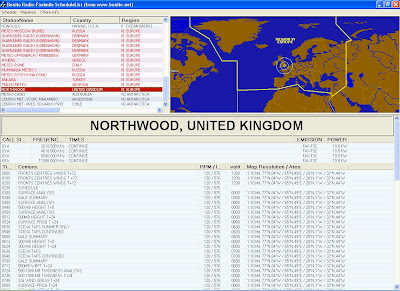 Radio Com 5.2 seems to work exceptionally well still, and I have had a lot of Radio Hams around the world getting in touch with me since they have watched the Weather Satellite videos I did for this site and Youtube. A lot of other Hams told me that they were using WXtoIMG decoding software which allowed the user to play around with the received image and also add colour. 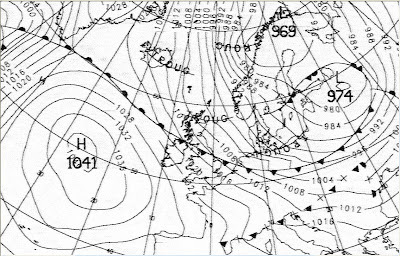 The main concern using the WXtoIMG software was that the image quality was not so great compared to the images I had received using Radio Com. However it does work and can be downloaded free if you fancy trying it? 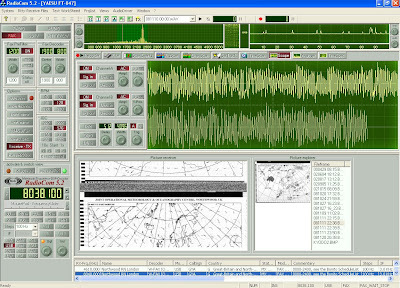 Radio Com 5.2 and 6.0 allows image manipulation and also provides a pallet of colours, which can be edited in once the image has been received and saved. The only down side to Radio Com software is paying for it! The software gives you full rig control of two radios at the same time and multi mode decoding for just about everything from CW, PSK, SSTV to RTTY it has a built in digital filter as well as spectrum analyser. The actual screen is very pleasant to the eye and simple to use, however the program will not run without the Radio Com Dongle which is a serial type fitting to your computer. (Preventing any coping/pirating of the program). Here is this mornings image from NOOA 17 showing North Europe to North Africa received on 137.620 FM. I will be listening out for more passes whilst awaiting the solar cycle to provide some good propagation here in North England. So far a slow start! I’ve been using the Multi band Maldol HMC-6 S antenna, for the last 3 years at my QTH as a stand by antenna and have been pleasantly surprised with its overall performance. The Vertical Mobile/Portable antenna covers 6 bands, 40M, 15M, 10M, 6M (HF) and (VHF) 2M & 70CMS. I’ve used it a lot for listening across the HF bands as well as some short wave frequencies, I’ve also put out some good signals and made some good DX contacts on 40M, 15M and 10M as well as 6M using a good ground plane system (20 foot Metal Container). It even Works well on 2M, I have not tried 70cms but the SWR appeared to be good across the band. 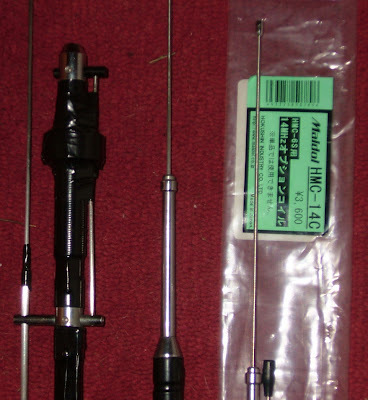 I have also got a range of Maldol Mono band mobile HF antenna’s and have been planning to try the HMC-6 fitted to the Toyota’s rear fixing instead of the mono bander’s. This has proven to be difficult to stop running the mono band Maldols, down to the good results that I can honestly say I have had. The Mono band Maldol,s especially 40M, 20M and 15M will be a hard act to follow for any mobile antenna. This plan is now beginning to take shape mainly due to Phil M1PAC’s generous influence as Phil managed to obtain the HMC-14 C add on part, which replaces the 40M coil/whip. It turns the HFC-6 S into a 20M, 15M, 10M, 6M & 2/70CM banded antenna. Phil told me that since Maldol no longer make antennas it is virtually impossible to obtain a new HMC-6 S, but there are a few Ham Shops with a few accessories/add on bands if you look hard enough. I was definitely feeling lucky that day. If you want one, you will have to keep an eye on EBay etc. M1PAC Phil gave me the Maldol 20M attachment as a gift, I was extremely surprised, very pleased as well as grateful as you know what! Thanks Phil, I owe you one!. So the next stage will probably have to wait until the weekend when I can try it out on the Toyota’s, Yaesu FT-857. I am fairly confident it will work well, but I will know soon enough. If it performs as well on 20M as it does with the 40M section attached, I will be more than happy. Any results will be posted here at HamRadioOperator.Blogspot.Com and PlanetHam.Org. Thanks for reading and have a great weekend! 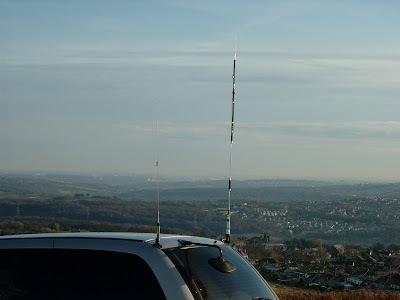 Over the weekend we managed to team up with Phil M1PAC and Craig M3CSD and headed off South in Convoy style to The Great Northern Hamfest located in Barnsley South Yorkshire. The drive took just short of an hour and passed by quickly as we enjoyed rag chewing on 2M FM. On arriving we were joined on the frequency by Mick a local G station who kindly refreshed our memory's of the rally's location and best parking positions, which proved to be very helpful. On entering the rally I began searching the different stalls with the aid of Louise M3TLL and it wasn't long before we both spotted some bargains. The first of three nice extension speakers I picked up was this heavy little maxon at the cost of £1.00. This had made the trip well worthwhile and is now connected to the FT-847. I picked up at CAT interface lead for the FT-847, some dipole centre's, Coaxial plugs and some wire type antenna insulators, all in mind for further projects. As well as grabbing some bargains I bumped into some friends. Here is a regular rag chewer every Sunday evening on sked, Jeff, G0GNU inside the rally. As I walked around the rally, Steve M1ERS recognised me from the Youtube video's I've made and introduced himself. It was a real pleasure meeting Steve and putting a face to the name I've been seeing on my video comments. Steve, M1ERS and myself Simon, 2E0HTS at Steve and company's D-STAR Stand inside the rally. Craig, M3CSD and Phil, M1PAC Carrying new radio goodies. The Barnsley people were very friendly and helpful, all in all it was a good day out and great to get another excuse to tinker around with the bits and pieces I picked up in Barnsley's Hamfest.